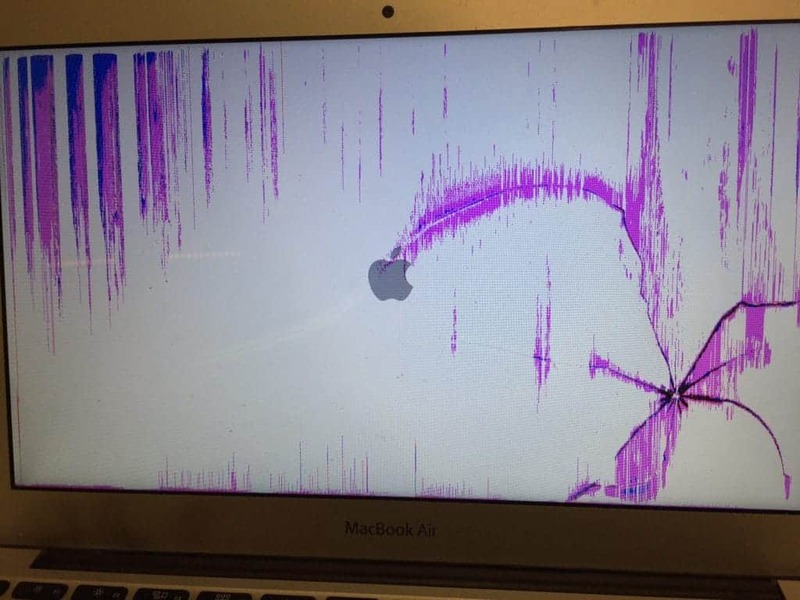 This MacBook Air was dropped and developed a crack that grew across the screen. Many times cracks show as pink, purple, or blue. I haven’t seen any orange cracks yet, but keeping my fingers crossed that one will come in within the next few days in time for Halloween!